When flu season occurs, it can feel like it is the worst time to be human while others say that it wasn’t so bad. The states with the highest flu activity include Colorado, Connecticut, Georgia, Kentucky, Louisiana, New Mexico, Hampshire, New Jersey, and Oklahoma. According to CDC reports, about 6-7 million Americans have already been infected this season, and that number is expected to rise in the next few weeks. Between 69,000-84,000 people have already been hospitalized for it. The flu is a contagious respiratory illness caused by influenza viruses that infect the nose, throat and sometimes lungs. The severity can be determined by one’s health and the type of strain. It can be mild or severe and in some cases, can lead to death. Even if it is a mild illness, it must be taken seriously. Unlike a cold, the flu comes suddenly. Symptoms include fever (not everyone will have this), coughing, sore throat, runny or stuffy nose, body aches, headaches, chills, fatigue, and sometimes diarrhea and vomiting. It can spread by tiny droplets made when people with the flu cough, sneeze or talk. Before symptoms are even felt, it could still be spread by day 1 since it was received, but can take up to 4 days. The best way to prevent the flu is to get vaccinated each year. Vaccines have been proven to reduce flu-related illnesses and infections that can cause hospitalization or death. It is also highly advised for students on campus to cover their mouths when sneezing or coughing, washing their hands frequently, especially before eating, not going to class and getting some good rest. 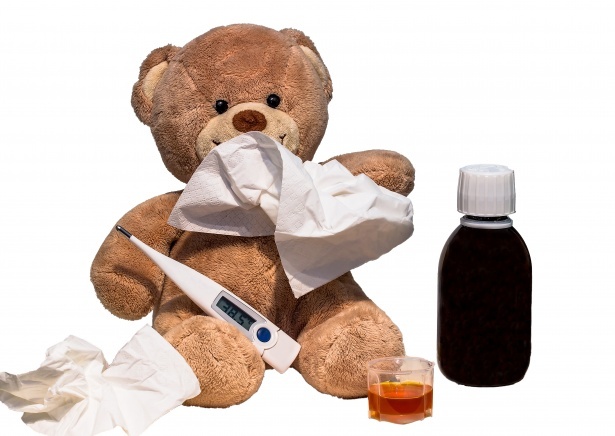 If a student has gotten sick with anything, not just the flu, they should visit the Student Health Center located at the bottom floor of the Webster Commons building. The doctors and/or nurses there can have you tested for any illness and will give you medication free of charge and all you would have to do is sign-in and check-out what medication that was given you. Any SNU student can also get vaccinations for minimal cost here. Avoiding SNU Dining can be a good idea to help reduce the spread of infection, but food is still a necessity for many who are ill. The 405 (also located in the Webster Commons) is a recommended option to help fight the spread of infection because students have the option to take the food to-go and dine in their rooms. Local off-campus students and those in Chapman can also cook food inside their homes or apartment. Taking all the necessary precautions will help reduce the chances of getting infected. Hey! I’m Gabriel Perez. I am a junior here at SNU majoring in Mass Communications. I am also an aspiring photographer. I was born in McAllen Texas, but when I turned three, my father joined the Army, and I have moved around a lot with SNU being my last one (my 14th move in my life).